Come April, I will be attempting to break the record for shortest time to visit all stations in the MBTA subway network. The record was most recently set by Adham Fisher in November 2013 and currently stands at 8 hours, 5 minutes and 16 seconds. I will be undertaking the challenge in April of 2014 on a date to be announced shortly. I will tweet my progress throughout the day; be sure to follow me at @streetcartracks! Stay tuned for further updates coming shortly! 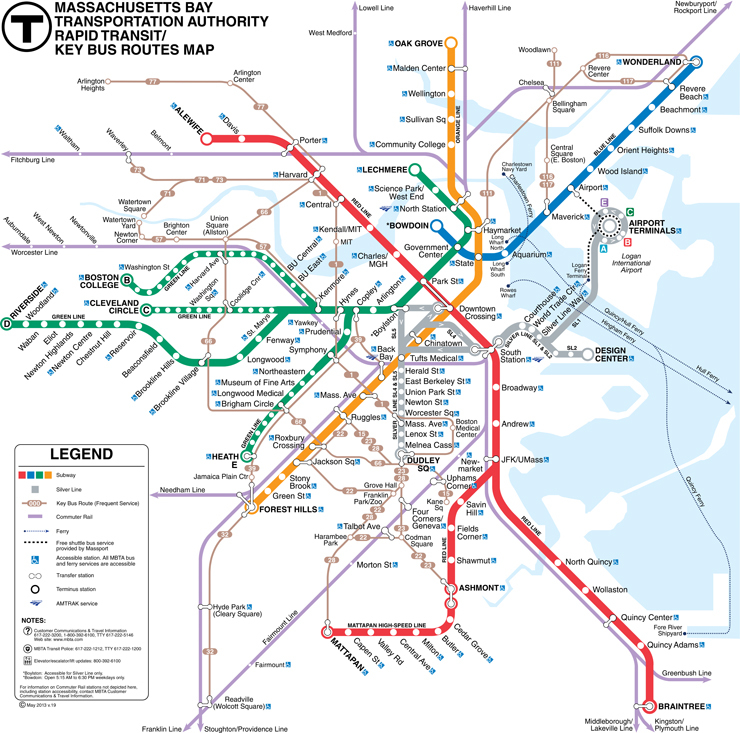 MBTA subway map. I will visit every station on the Green, Orange, Red and Blue Lines as I undertake the challenge in April 2014. As per the methods of all previous record attempts and current record holders, I will not be including the Silver Line in my itinerary.